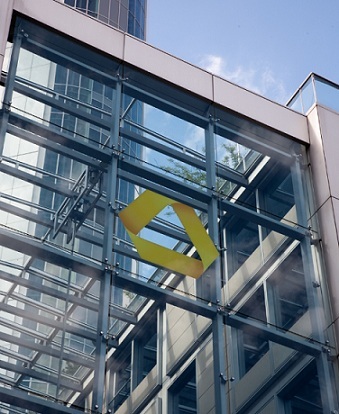 Commerzbank dramatically u-turned on plans to re-start property lending last night and has designated all real estate finance as non-core, accelerating the departure of lending by Eurohypo. Eurohypo is to be rebranded Hypothekenbank Frankfurt AG – likely from 31 August – with its entire €56bn European real estate loan book to be transferred to Commerzbank’s non-core assets (NCA) and wound-up over time to maximise value. Hypothekenbank, which will also apply to subsidiaries of Eurohypo, refers to a predecessor institute of Eurohypo. Commerzbank cites the “continuing uncertain situation in financial markets, the heightening of the sovereign debt crisis and the increasing regulatory burdens”. Private customers refer to Commerzbank’s retail business for individual home loans, while corporate customer business refers to a proportionally very small client base, for which the bank has broader banking relationships. Corporate customer real estate lending will be a very small proportion of small ticket property lending. Martin Blessing, chairman of the Board of managing directors, said: “Against the background of the on-going financial and sovereign debt crisis, an end to which is not foreseeable, and of the uncertain regulatory environment, we are subjecting all the business areas to a rigorous review in the framework of our strategic planning process. Commerzbank’s Board of managing directors’ decision marks a significant u-turn on Commerzbank’s statement on 30 March in which Germany’s largest bank ring-fenced four markets – Germany, the UK, France and Poland – as part of a slimmed core lending division to operate under Real Estate and Ship Finance (RES). RES will now not be launched as originally planned. Commerzbank said it is meeting the European Commission’s requirement in relation to the winding-up conditions for Eurohypo. No decisions have yet been made as to staffing levels throughout Eurohypo’s subsidiary offices, with detailed decisions on the implementation of the accelerated wind-up strategy to be defined over the coming weeks. Eurohypo in the UK had planned to provide a circa £70m speculative development loan against two office buildings at King’s Cross Central to the King’s Cross Central Ltd Partnership. It remains unclear whether this loan will still be extended. Commerzbank said it intends to focus on customer-centric and profitable core business, the minimisation of risks and a reduction in complexity. Select new real estate financing will now only be extended to “private customers”. In addition, CommerzReal is to be integrated into the Core Bank segment private customers. Commerzbank had planned to lend up to €5bn in net new lending per annum in Germany, the UK, France and Poland. The distribution of this balance sheet between the four markets was expecetd to be: €2.5bn in Germany, €1.5bn in the UK, €750m in France and around €250m in Poland. These changes will become effective as of August 9, 2012, at the publication of Commerzbank’s half-year results, with an announced restructuring of the Board. Gallery | This entry was posted in Banks, Market Trends, Merger & Acquisition, Refinancings and tagged Commerzbank, Eurohypo, Hypothekenbank. Bookmark the permalink.